It’s unfortunate that when the words ‘pizza’ and ‘Chicago’ are joined, the assumption is ‘deep-dish’. And while Anthony Bourdain may have been stretching it when he claimed deep-dish pizza “wasn’t pizza at all”, he is right in that Chicago brings more to the pizza stratosphere than just a dense, gooey (yet occasionally delicious) mess from Lou Malnati’s. This all leads to the unfortunate situation that those not acquainted with the Chicago food scene face: finding and enjoying Chicago’s best non-deep dish pizza options. Great Lake, whose pizza can be categorized as thin crust, is one of those critically acclaimed places that should be known by everyone seeking great pizza. 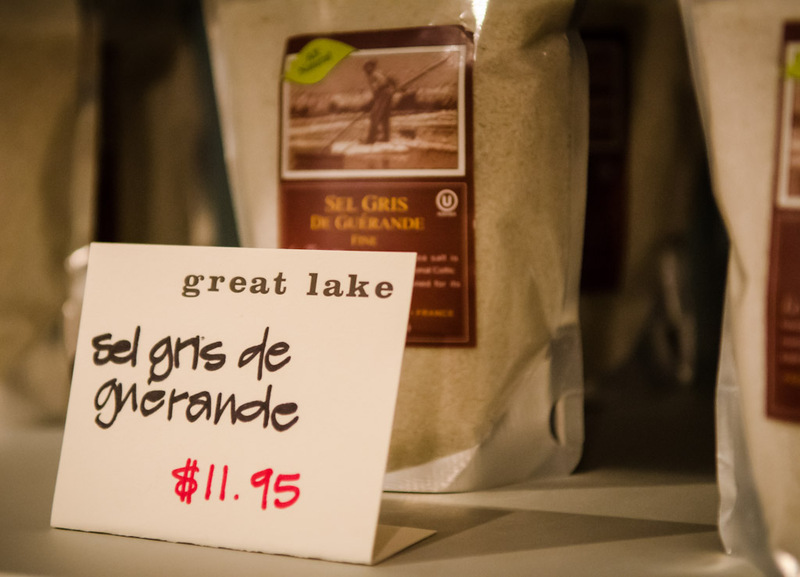 Dining at Great Lake, though, won’t be your average dining experience. In fact, the Andersonville staple is not a restaurant, but, in their words, a shop. 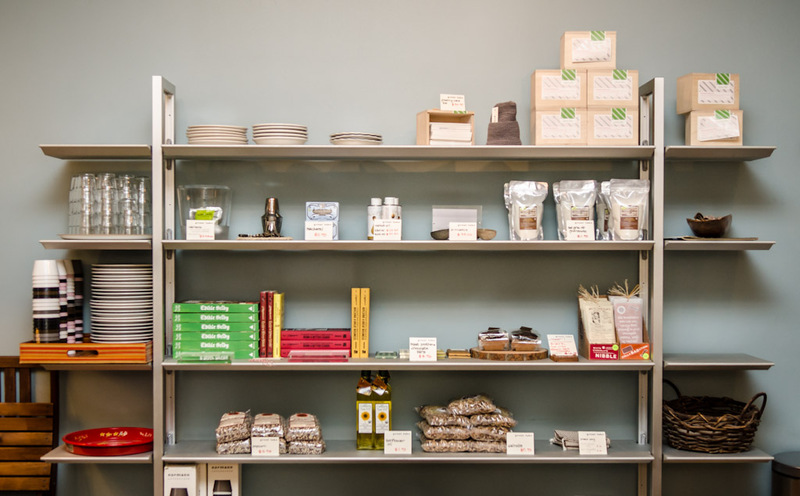 Besides eating the best pizza in Chicago, one can also pick up an apron, artisan cashews, obscure chocolates or dried mackerel. Their quaint location is adjacent to downtown Andersonville right off the Bryn Mawr L stop. 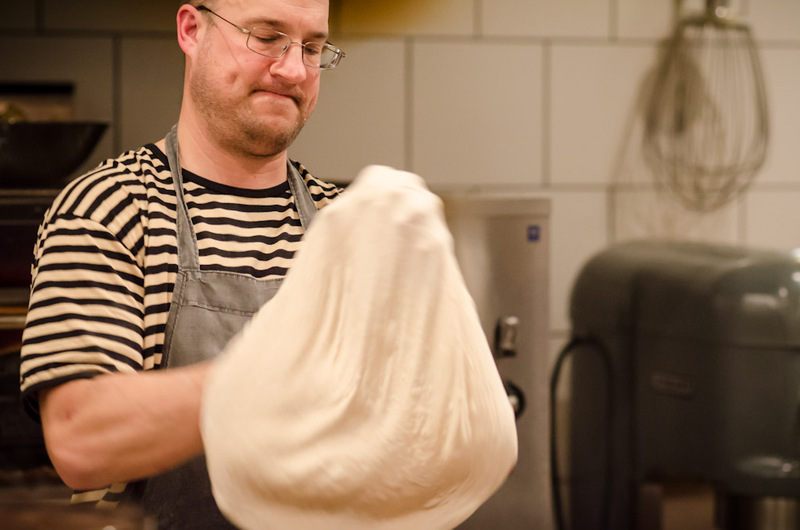 For five years, owners husband and wife Nick Lessins and Lydia Esparaza have garnered praise for their incredible pies and their dedication to ingredients that, if not house-made, are local and organically raised or grown. But even the best eateries have their critics. Lessins and Esparaza have taken knocks for their controversial — dare I say — apathetic customer service. Having said that, our experience was phenomenal: the service was flawless and the pizza was near perfect. Most frustration stems from the 12-seat no reservation space. 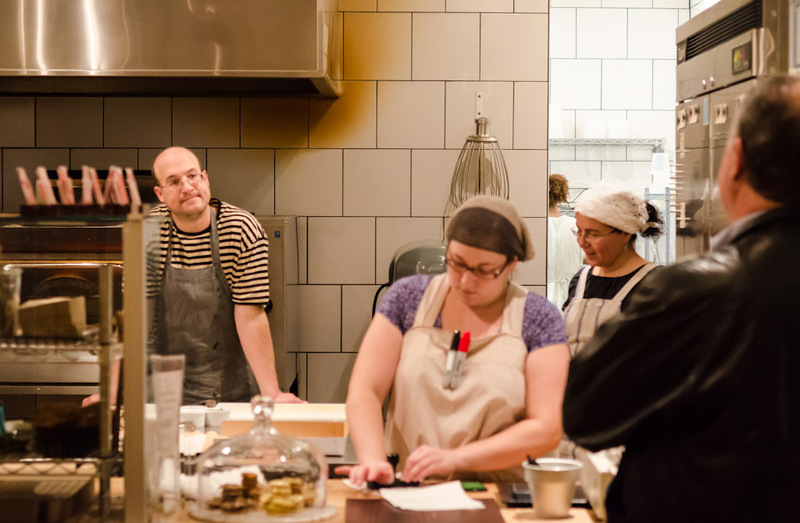 Wait for a seat can be excruciatingly long since Lessins makes every pie himself. The limited menu features the one staple pizza (the number “1”), two different pizzas (that range from $25-$27) that have more inventive ingredients, but change occasionally, and also a Farmers Market salad ($12). Beverages are limited as well, which is why so many customers utilize the BYOB policy, which charges $3 a person. Upon entering, the first thing that catches the eye at Great Lake is the open kitchen. The aroma of freshly made dough, cheese and herbs fill the air, while the sight of Lessins preparing each pie builds the appetite. The spotless space, with glimmering hardwood floors, clean tables and a well-lit atmosphere sets the tone for a successful dining experience. After a 30-minute wait, our piping hot, glistening pizza arrives. The famous number “1” pizza ($24), with tomato sauce, Dante lamb cheese and fresh herbs, confirms the principle that simple is better. The sweetness of the house-made sauce provides a beautiful contrast for the smooth and salty melting cheese, while the occasional bite of basil keeps the flavors grounded in its mild nature. Even with all the delicious ingredients accentuating the pizza, the dough is the highlight of the pie. 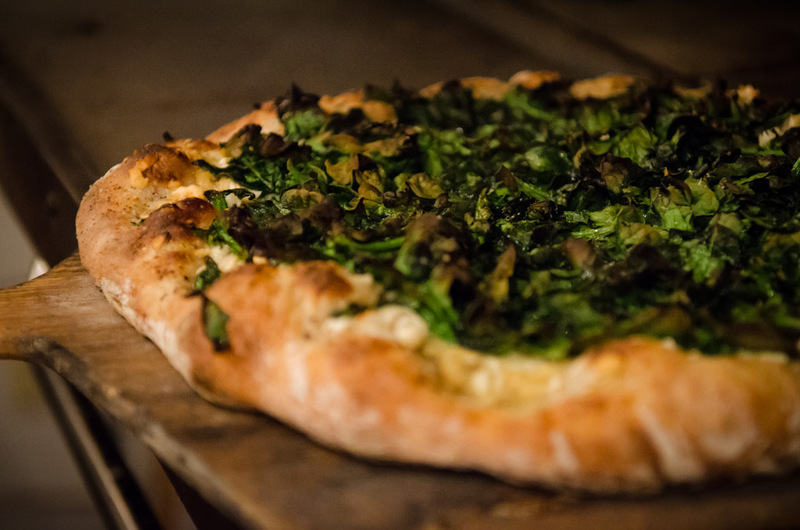 Lessins’ crust comes closest to achieving that benchmark perfect texture for which so many pizzerias strive. The bottom of the crust is wonderfully chewy, yet light enough to not take anything away from the accompaniments. The outer edge of the crust in all its dense, doughy glory is the only thing preventing the diner from eating an entire delicious pizza by him or herself. After the pizza fills the stomach, go against your better judgment and order homemade cookies. The Rosemary shortbread is a classic example of a well-executed sweet and salty dessert. Also, the Mexican chocolate chip cookies were divine, with chocolate from Oaxaca, a cinnamon flavor kick and a great texture complement from crunchy cacoa nibs. 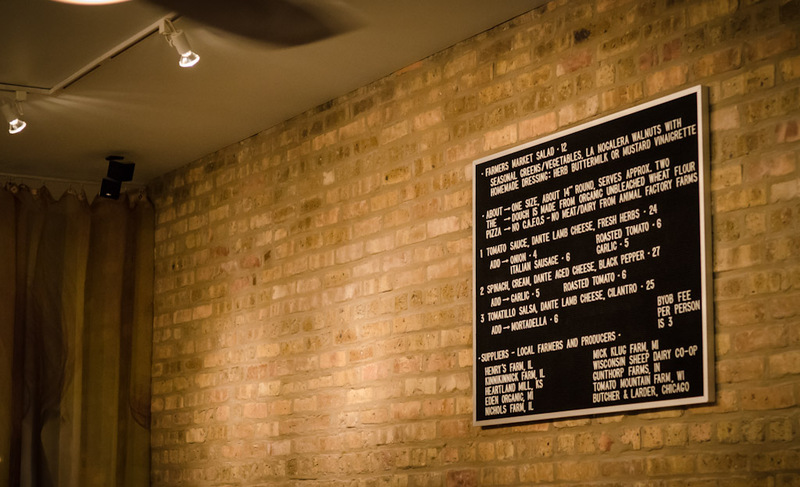 So when you’ve got an open mind and an open schedule, definitely stop by Great Lake for dinner, and then you can say you really have experienced Chicago pizza. For more pizza pizza pizza, check out Union Pizzeria, or make your own homemade personal pita pizzas.